Lowell-based carrier J.B. Hunt Transport Services missed analyst estimates on net income in the fourth quarter as driver pay and rail transportation costs rose, but it beat revenue estimates as the company increased intermodal revenue per load and added new customers in its dedicated segment. 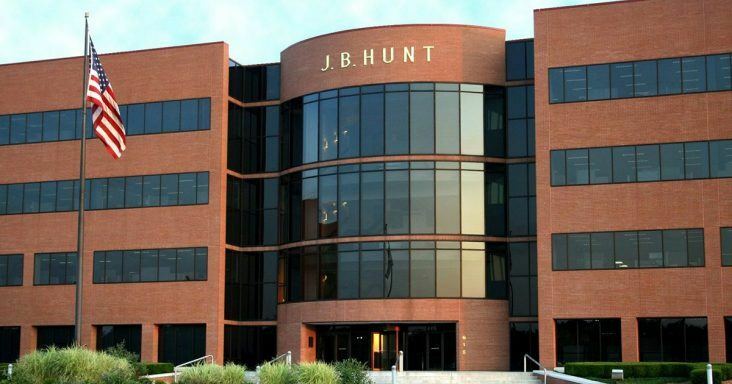 J.B. Hunt on Thursday (Jan. 17) reported fourth-quarter net income declined 77% to $88.681 million, or 81 cents per share, from $385.308 million, or $3.48 per share. The carrier missed analysts’ estimates by 67 cents, based on a consensus of 22 analysts. For 2018, earnings declined 28.7% to $489.585 million, or $4.43 per share, from $686.263 million, or $6.18 per share. The carrier missed analysts’ estimates by 96 cents. Fourth-quarter revenue rose 16.5% to $2.318 billion, from $1.99 billion. The company beat analysts’ estimates by $18 million. For 2018, revenue rose 19.8% to $8.615 billion, from $7.19 billion. The company beat analysts’ estimates by $35 million. Fourth-quarter 2018 earnings included previously announced pretax charges of $134 million related to the ongoing arbitration with Fort Worth, Texas-based BNSF Railway Co. Fourth-quarter 2017 earnings included a $309.2 million decrease in income taxes as a result of tax reform and $38.9 million in pretax charges for reserve increases related to outstanding receivables and insurance claims. The carrier’s 2018 and 2017 tax rates were 23.6% and -15.29%, respectively. In an earnings conference call, David Mee, chief financial officer, said the company likely won’t release guidance in 2019 and will issue more information on the arbitration when it becomes available. In an earnings preview, analysts Brad Delco and Justin Long and associates Scott Schoenhaus and Brian Colley, all of Little Rock-based Stephens Inc., noted that investors have been hesitant to invest in the carrier until the arbitration is completed. The carrier expects to spend about $200 million less on capital in 2019 than it did in 2018. The majority of the money will continue to be spent in the Dedicated Contract Services segment, but the carrier also will invest into yard expansions for the intermodal segment and $50 million into information technology. The carrier recently announced it purchased New Jersey-based carrier Cory 1st Choice Home Delivery for $100 million, and the deal will allow the company to increase its presence in the $5 billion furniture industry. 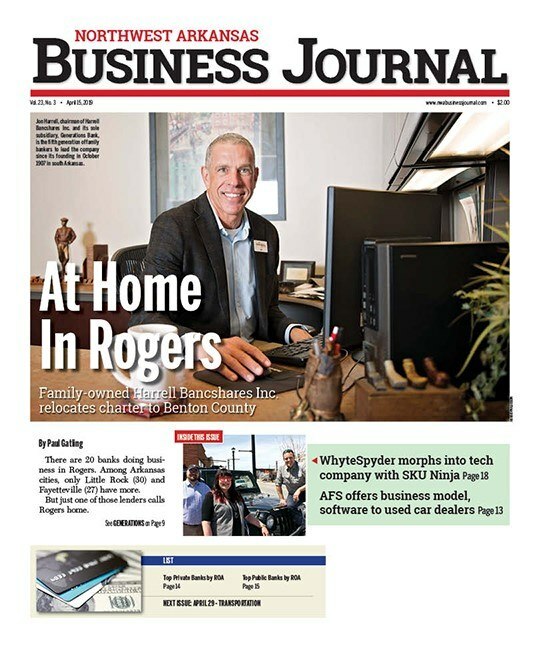 When asked about future acquisitions, CEO John Roberts said the company isn’t looking at anything now but will continue to be open-minded and listen to customers to determine needs and gaps to fill. A 16% increase in revenue per load, freight mix, rate increases and fuel surcharges led fourth-quarter revenue to rise 15% to $1.263 billion in the intermodal segment, which accounted for 54% of the carrier’s revenue in the period. Fourth-quarter operating income declined 65% to $32.4 million, or 27% of the carrier’s fourth-quarter operating income. Freight volume declined 1% from the same period in 2017. Eastern network loads rose 5% and transcontinental loads fell 4%. For 2018, revenue rose 15.5% to $4.717 billion, or 55% of company revenue. Operating income 1.6% to $400.999 million, or 59% of company operating income. The segment had 5,650 trucks and 94,900 containers and trailers at the end of 2018. The addition of new customer accounts and improved asset use led revenue to rise 25% to $595.809 million in the Dedicated Contract Services segment, accounting for 26% of the company’s revenue. Operating income rose 70.2% to $59.416 million, or 48% of the company’s operating income. For 2018, revenue rose 25.8% to $2.163 billion, or 25% of company revenue. Operating income rose 13% to $193.419 million, or 29% of company income. Final Mile Services increased revenue by $17 million in the fourth quarter, from the same period in 2017. The number of trucks in the Dedicated Contract Services segment increased by 1,388 trucks in the fourth quarter, from the same period in 2017, and 32% were related to private fleet conversions, while 5% represented Final Mile Services. The segment added 458 trucks in the fourth quarter. A 14% increase in loads led revenue to increase 7% to $345.4 million in the carrier’s brokerage segment, accounting for 15% of the company’s revenue. Operating income increased 43.1% to $16.142 million, or 13% of the company’s operating income. For 2018, revenue increased by30.2% to $1.335 billion, or 15% of company revenue. Operating income increased 120% to $50.167 million, or 7% of company income. Revenue per load fell 6.4% a result of customer mix changes and decreased spot market activity. Contract work accounted for 71% of load volume and 53% of total revenue in the fourth quarter, compared to 66% and 46%, respectively in the fourth quarter of 2017. About $174 million of revenue could be attributed to the Marketplace, the freight matching software for the carrier’s technology platform J.B. Hunt 360. Mee noted in the conference call the carrier expects to invest $50 million into its technology platform in 2019, and it should start to see the benefits of the investment by the second half of the year. The segment’s carrier base rose 29%, and the number of employees increased 20% from a year ago. Revenue rose 21% to $117.707 million as a result of rate increases in the trucking segment, which accounted for 5% of company revenue. Operating income rose 131% to $14.737 million, or 12% of the company’s operating income. For 2018, revenue increased 10.3% to $417.351 million, or 5% of company revenue. Operating income increased 61.8% to $36.568 million, or 5% of company income. Contract rates rose about 15%, and at the end of 2018, the segment had 2,112 trucks, up from 2,032 at the end of 2017. Shares of J.B. Hunt (NASDAQ: JBHT) closed Thursday at $99.92, up $2.97 or 3.06%. In the past 52 weeks, the stock has ranged between $131.74 and $88.38. Shipments fell 0.8% in December, from the same month in 2017, while freight expenditures rose 10%, according to the Cass Freight Index Report. Analyst Donald Broughton, founder and managing partner of Broughton Capital, is author of the report. December was a month of growing uncertainty and declines in the U.S. financial markets, Broughton explained. However, the transportation economy continues to show the economy is expanding, while not at the pace it was earlier this year but still at an above-average pace, said Broughton, adding the economy might’ve reached a short-term expansion limit. The 10% expenditures increase shows that capacity remains tight, demand is strong and shippers are paying for services to move their goods throughout the transportation sector. December marked the first shipment decline in two years, in part as a result of the strong shipment month in December 2017 and because of stabilizing patterns in nearly all freight flows, Broughton said. Two lingering economic concerns include tariffs and threats of more tariffs with China and the decline in the price of U.S. benchmark West Texas Intermediate crude oil. Total intermodal pricing rose 8.6% in December, from the same month in 2017, according to the Cass Intermodal Price Index. The index reached 145.8, slightly below the record high of 147.3 in October. December marked the 27th consecutive month of increases, and in the fourth quarter, the average price rose 10%, from the same period in 2017. The Cass Truckload Linehaul Index rose 7.2% to 144.2 in December, from the same month in 2017, setting a record high, which is significant because of the tougher year-over-year comparisons and the exclusion of fuel surcharge. The price increases started in 2017 and continued into 2018 — the highest year of pricing for truckload since deregulation in 1980. Production of Class 8 trucks, the largest truck class, beat build plans in December as manufacturers produced them in order to obtain 2018 tax benefits, according to Kenny Vieth, president and senior analyst for ACT Research. “Heavy-duty build rose 4,500 units above the plan in December, and we assume the surge was largely overtime based,” Vieth said. “Indicative of current market strength, cancellations, which had been elevated, dropped to a five-month low.” Vieth also noted economic concerns, including tariffs, trade wars, a global economic slowdown, declining commodity prices, a flat yield curve, quantitative tightening and lower equity values.